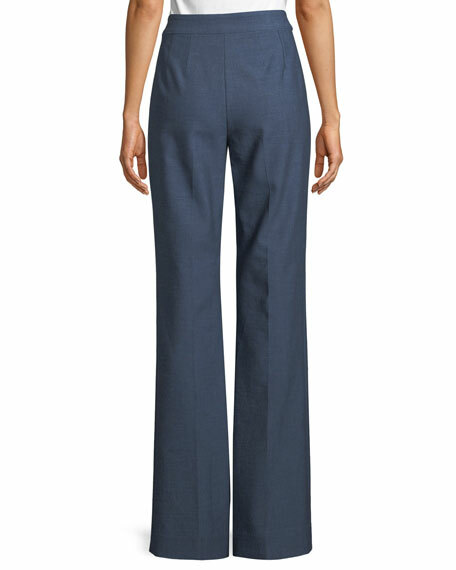 St. John Collection "Summer Bella" suiting pants in double weave. Faux flap pocket detail at front; clean back. 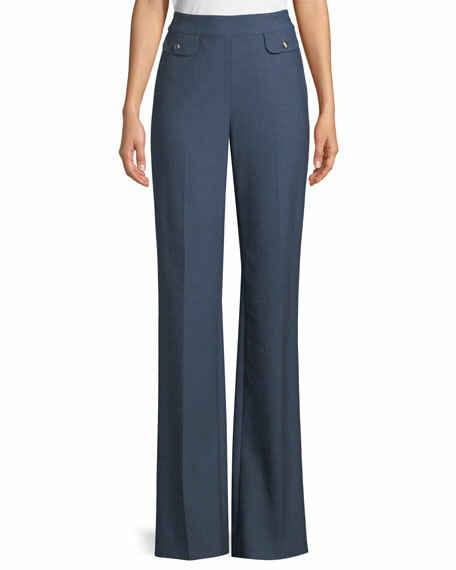 Flared legs with center crease. For in-store inquiries, use sku #2520691.